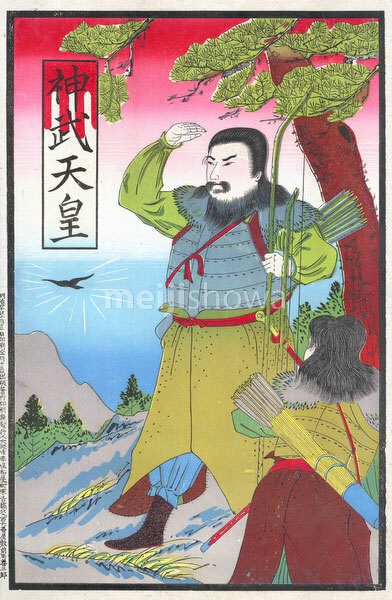 Early 20th century print of a bearded Emperor Jimmu (Jinmu-tenno), the mythical founder of Japan. He is carrying a long bow and is accompanied by a wild bird. In the traditional lists of Japanese emperors, Jimmu is always listed as Japan’s first emperor.